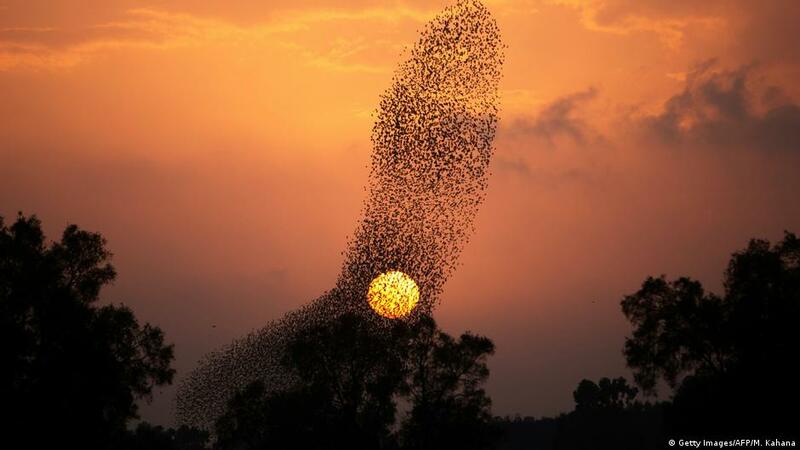 Murmuration refers to swarming of hundreds of thousands, of starlings flying in a coordinated manner in sky. These videos of the starlings murmuration are really mesmerizing. George F. Young of Princeton University did research and found that starlings pay attention seven of their neighbors in the flock, regardless of flock density to be able to fly in such coordinated manner.